It was the first university to be established in independent Czechoslovakia. The University of Veterinary and Pharmaceutical Sciences Brno, originally a Veterinary College, was founded exactly a hundred years ago: December 12, 1918. It was only forty five days after the establishment of an independent state. The establishment of the school in Brno was a surprise; everyone expected it would be Prague. Brno’s central position in the newly established state as well as the effort to contribute to the city's Czechization, were determining factors for choosing it as the suitable location. Thus Brno acquired its second university after the Czech College of Engineering founded in 1899. Anyone who wanted to focus on veterinary medicine had to go to Vienna, Lvov or Budapest. Czech veterinarians studied mostly in Vienna and they were many. However, when the independent Czechoslovak Republic was proclaimed on October 28, 1918, these students became foreigners in their alma mater. Those who were not at the front or in captivity formed a committee and went to Prague where they urged the Czechoslovak government to establish a higher veterinary medicine institution allowing them to continue their studies. "The establishment of the university was one of the first and fundamental decisions of the new state whose leaders were well aware of the importance of the veterinary profession and hence of veterinary education for every state. It was not only about protecting farms from animal diseases and protecting human health from animal-to-human diseases. It was also necessary to protect food from human food-borne diseases, to protect the health of companion animals and pets, and last but not least, to prevent the national territory from the introduction of pathogens, unsafe foods and diseased animals from the standpoint of stability and internal security of the state," describes the current 25th Rector Alois Nečas. Over the past hundred years, veterinary medicine education has undergone a significant change. 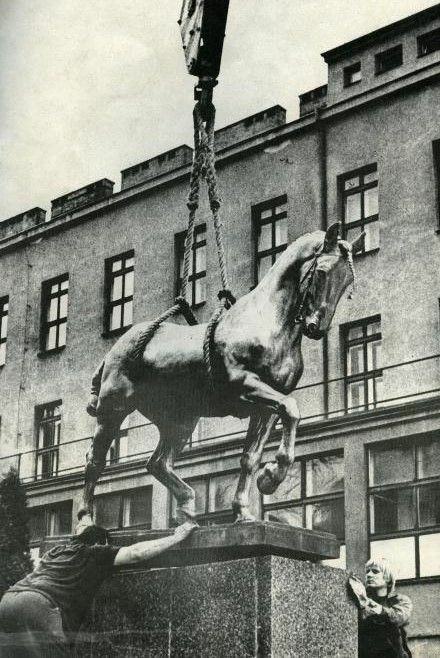 In the beginning, the main patient was the horse because it was an animal important to the army. Over time, it became cattle representing nourishment for man. Later, the original focus on livestock was extended to pet and exotic animal healthcare. "Modern investigative methods have replaced standard procedures and current complex veterinary surgery are comparable to human surgery," says the Rector of the University, the only institution in the whole republic educating new vets and one of two providing pharmaceutical higher education. VFU celebrates its 100th anniversary this year and is organizing a series of events on this occasion. Can you describe the times of the University's emergence and how you commemorate this exceptional anniversary? The University of Veterinary and Pharmaceutical Sciences Brno was founded 45 days after the establishment of an independent Czechoslovakia by a law of the National Assembly as a Veterinary College with Czech as the language of instruction and its headquarters in Brno. The establishment of the university was one of the first and fundamental decisions of the new state whose leaders were well aware of the importance of the veterinary profession and hence of veterinary education for every state. It was not only about protecting farms from animal diseases and protecting human health from animal-to-human diseases. It was also necessary to protect food from human food-borne diseases, to protect the health of companion animals and pets, and last but not least, to prevent the national territory from the introduction of pathogens, unsafe foods and diseased animals from the standpoint of stability and internal security of the state. To commemorate such an important event, we were looking for a historical parallel with current times and thus the meeting of the University management was held on the premises of the Chamber of Deputies of the Czech Republic, that is, the present day governing body corresponding to the National Assembly acting at the time of establishment of the Veterinary University in 1918. The current premises correspond to the premises of the National Assembly, where the law on the establishment of the Veterinary College was adopted. 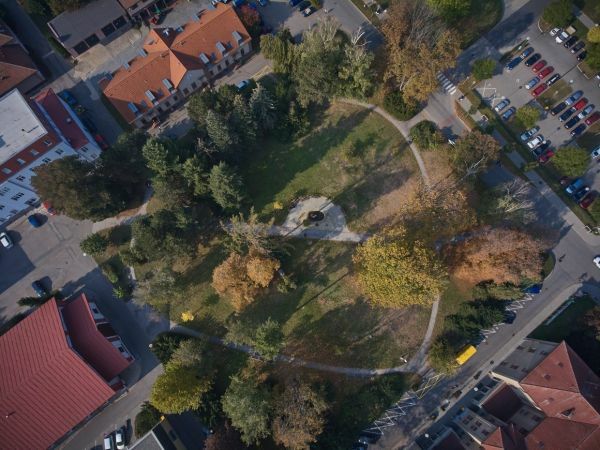 We succeeded in emphasizing the symbolism linking the place of establishment and the place of celebration of the 100th anniversary of the University of Veterinary and Pharmaceutical Sciences Brno. During this year, the University also celebrated its foundation in other ways. In June, we organized a meeting for graduates at the Brno Exhibition Centre and in the week from 15th to 19th October, the celebrations included a series of events. The leadership of the university, the academic and other staff and the students were all involved in the preparation. It was a great feeling and I think we managed to prepare a very dignified program that everybody enjoyed. On the first day, a formal meeting of representatives of the academic community and representatives of other institutions took place, at which the University awarded 100 medals to important figures associated with the development of the College. This week, we have organized the 50th traditional Golden Graduation Ceremony, where we invite the graduates 50 years after the graduation to award them our Golden Diplomas. We symbolically stepped into the new century by lighting up the ceremonial hearth, restoring the University Wine tradition, and, as part of celebrating the 100th anniversary of the Czechoslovak Republic, the event 100 linden trees-100 celebrations was held during which the university linden was planted. I hope that the linden, as a symbol of democracy, human society and pride, will witness the success and favourable destiny of our alma mater for at least another century. I wish it the very best on the verge of a new century. As part of the celebration, the academic community gathered to see an outstanding play in Brno City Theatre. Other activities included organizing a number of scientific conferences and other social, sport and tourist activities, within and outside the campus. By celebrating the 100th anniversary of the foundation of the University of Veterinary and Pharmaceutical Sciences Brno, we not only commemorate the establishment of our exceptional university, but also remind contemporary society that 100 years ago, in December 1918, the state recognized the uniqueness of veterinary education and the veterinary profession. We believe that, the current nation in 2018, also recognizes the extraordinary significance of veterinary education and the profession's role in the further existence and development of our society. The university started with a narrow focus on veterinary medicine only. Gradually, its focus widened to Veterinary Hygiene and Ecology, Animal Protection and Welfare, Food Safety and Quality, and Pharmacy. Do you consider the current scope of the university final, or are there any plans for new study fields or specializations in teaching and research? The University of Veterinary and Pharmaceutical Sciences Brno was founded as a Veterinary College, which has traditionally been clinically oriented in terms of recognition, treatment and prevention of diseases, especially in the context of today's study program of Veterinary Medicine. However, food safety and food hygiene formed a part of this rapidly growing curriculum from the very beginning. In 1975, social demand together with increasing interest in food hygiene led to the present study program Veterinary Hygiene and Ecology, specializing in livestock, food safety of foods of animal origin, food hygiene and human health protection against foodborne hazards. Around 2000, the European Union addressed several major food safety issues and our university responded to these issues by establishing the study program Food Safety and Quality. In response to the problems related to food safety, the European Union has issued a number of regulations and directives regulating food safety, the content of which informs both bachelor's and master's study programs at our university. In the European Community and later in the European Union, especially after 1990, the issue of animal protection and welfare has become very important. As a consequence, our university introduced the topic of animal protection into the curriculum and subsequently, a new study course was created. Later, in response to strong emphasis of this issue in Europe after 2010 a new study program Protection of Animals and Welfare, both bachelor's and master's, was introduced. The program is based on the long-standing tradition of the university in this field, on the research and organization of scientific meetings related to the protection and welfare of animals. Regarding pharmacy, the UVPS Brno also followed up on long-standing traditions. The former Faculty of Pharmacy was based in Brno in the 1950s before it was transferred to Bratislava in 1960. 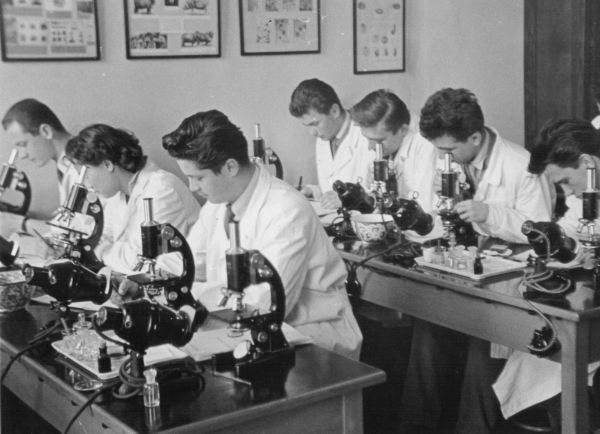 After 1990, the idea of a renewal of pharmaceutical studies in Brno was raised and the Veterinary College, many of whose programmes were relevant to pharmacy studies, stepped in to help. And so, in 1991, on the basis of public interest and demand the Faculty of Pharmacy was established at our University. The current direction of education and research in the fields of veterinary medicine, veterinary hygiene, food safety, food safety in gastronomy, animal protection and welfare, as well as pharmacy, reflect the mission of our university. Any new study or research fields would undoubtedly build on the university's current direction and would respond to the social need of new directions in education or research in our field of expertise. After graduation in 1989, he did an internship at the Veterinary University in Brno, currently the University of Veterinary and Pharmaceutical Sciences Brno, where, beginning in 1992, he progressed working as an assistant lecturer, lecturer and then associate professor at the surgery department where he is currently working as a professor. Are young people interested in studies at VFU nowadays? Which faculty or specialization is in highest demand? Currently, there is still a high level of interest in studying at our university, and it far exceeds the potential of our university. All the study programmes are attractive, Veterinary Medicine, Veterinary Hygiene, and Animal Welfare and Protection show a constant level of interest; there has been a slight decline of interest in other specializations due to demographic change, however, with these also, the interest greatly exceeds the number of places available. What are the employment opportunities for your graduates? Do they stay in the CR or do some of them find posts aboard? When creating curricula, does the university reflect on employers' needs? Employment opportunities for the graduates from all the study programmes are high. Veterinary medicine leads its graduates into private veterinary practice which is not regulated by the state and where the graduates can find a wide range of employment opportunities. Veterinary Hygiene leads its graduates into positions as official veterinarians, and this sector has been providing a number of vacancies for graduates of this programme. Food Safety and Quality prepares its graduates for work in the foodstuffs industry and foodstuff supervision in state foodstuff control and as such, these graduates successfully find positions in the job market. Current graduates of the Animal Protection and Welfare are actually the very first graduates of this field and their employment opportunities are relatively broad. With a significant growth of social interest in animal welfare and protection, we can assume increasing demand for the graduates of this programme. Pharmacy graduates have traditionally had the highest potential in the job market of the Czech Republic. Overall, it is possible to say that employment opportunities for our graduates are exceptionally good and many of them, if they do move abroad, find posts outside the Czech Republic relatively easily, and this applies to very attractive posts too. The university, in its programmes, responds to the requirements of social practice, and I would like to emphasize, that not only to Czech social practice, but also to trends and requirements in the European Union, through the university's involvement in the European veterinary education and pharmaceutical training associations. Veterinary education at our university regularly undergoes international evaluation performed by foreign experts in which the standard, quality and targets are assessed. Our university is successful in these evaluations. The University of Veterinary and Pharmaceutical Sciences in Brno has the benefit of its own compact premises formed by both older and more modern buildings. Does the university currently plan any significant development investments? Our university, upon its foundation in 1918, obtained the buildings of the provincial reformatory or detention school for boys and the premises of a former cavalry barracks. In the last 100 years the university grounds have been substantially modernized and today, we have beautiful veterinary and pharmaceutical premises, and I can say that they are also admired by foreign visitors. The teaching standards, facilities and equipment, as well as the overall layout and character of the area and buildings attract many students from abroad who want to study here and pay for their education here. In order to maintain this trend and, above all, the comparison with advanced Western, especially veterinary universities, it is necessary to develop, modernize and adapt the premises and its buildings to the requirements of the current standards of veterinary medicine in practice. This is also a condition for a successful international evaluation of our university in the following years and therefore, the university needs development investments. At present, we have finished the requirement for the reconstruction of several buildings in the complex, which should complete the modern facilities for teaching, research and related activities at our university, meeting the same requirements for high quality teaching as in the developed Western European countries. In the last 100 years veterinary medicine education has undergone many changes. Can you name some modern trends the teaching is following? The teaching of veterinary medicine has undergone a number of significant changes over the past 100 years. At the beginning of its existence, the college focused on livestock (horses, cattle, sheep, goats, pigs) and infectious diseases. Approximately 50 years ago, non-infectious diseases and other animal species, especially poultry and rabbits, fish, bees, and game, became the main focus of teaching. In the last 30 years interest has moved strongly in favour of pets, especially dogs, cats, exotic animals and horses. Also, the standard of veterinary care has changed remarkably; from standard investigation procedures, we have moved on to use state-of-the-art imaging methods and the most complex operations comparable to human operations. The emphasis on different fields of veterinary medicine has changed distinctly; besides the traditional veterinary medicine defined by the recognition, treatment and prevention of animal diseases, veterinary medicine began to focus on, and reached high standards in, food safety, hygiene and quality, and their application in food supervision and protection of human health. At present, we can see a strong trend towards gaining knowledge and developing good practices in animal protection and welfare, and raising the standard of living, for both companion and farm animals. Another remarkably big change in trends is reflected in the proportion of female and male students. While around 1990 of veterinary medicine students 85% were male and 15% female, today's situation is entirely opposite; we have 85% female and 15% male students studying in the Veterinary Medicine Programme. The university has its own clinics. Can you describe how they work, who uses them and how the students get involved? The teaching of veterinary medicine must be based on concrete day-to-day veterinary activities at clinics. This is one of the imperatives of the European standard for veterinary education. We have clinics that provide veterinary care to a whole range of kept animals. We have a Small Animal Clinic, an Avian and Exotic Animal Clinic, an Equine Clinic and a Ruminant and Swine Clinic. In addition to these clinics, there are other institutes dealing with the diseases of fish, bees, game, and wildlife. The clinics are open 24 hours a day, 7 days a week, and carry out regular veterinary outpatient activities, as well as hospitalization and provision of intensive care. They have X-ray machines, sonographic devices, computer tomography and magnetic resonance imaging at their disposal to use for examinations. They perform procedures in internal medicine, surgery, orthopaedics, obstetrics, gynaecology and andrology. The procedures range from the simplest to the most complex procedures across the whole scope of modern veterinary science. The clinics have high numbers of patients; reaching about 10,000 cases of dogs and cats, about 1,000 cases of horses; birds, reptiles and small mammals about 3,000 cases. In terms of ruminants and swine, the clinics only deal with cases requiring special care; the vast majority of veterinary care for cattle, sheep, goats and other ruminants as well as swine, is provided directly on farms. This being said it follows that animal care at our clinics is sought by animal keepers from far and wide, they require veterinary care for their animals ranging from the simplest to the most complex procedures; and in many cases the clinics work as a centre of reference for highly specialized veterinary care. The care is provided not only at the university clinics but also on individual farms. Both students of veterinary medicine and veterinary hygiene and ecology, get involved in the provision of this care. Teaching takes place in outpatients clinics, during hospitalization of animals and in intensive care. Tuition is carried out in regular lessons as well as through internships and practical trainings at clinics.